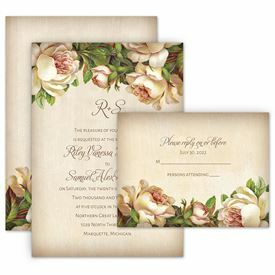 Explore beautiful vintage wedding invitations that will perfectly complement your wedding theme. 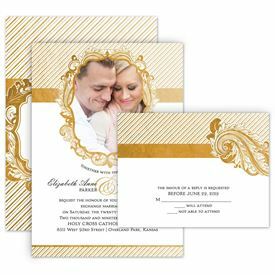 Whether you're planning a vintage-inspired event or simply want a more old-fashioned feel, our selection of vintage invitations will help set the tone. 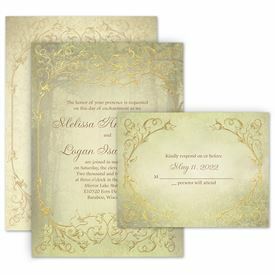 We offer both colorful vintage wedding invitations and more subtle classics. 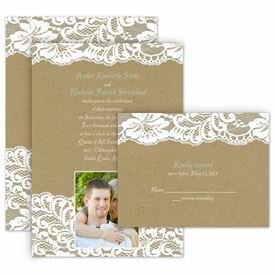 Patterns like lace and filigree add an elegant touch while damask motifs and soft floral designs offer more traditional and antique aesthetics. 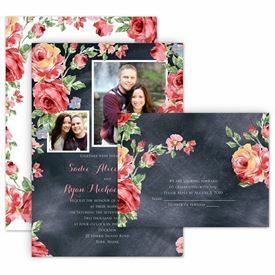 To accommodate your specific stationery needs, our wedding invitations include a variety of unique invitation styles and designs. 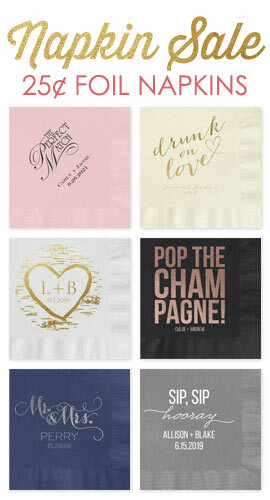 Here at Ann's Bridal Bargains, we want your invitations to be a perfect reflection of your wedding style and budget.